Finding, developing and cultivating leads are vitally important for small businesses to survive and thrive. 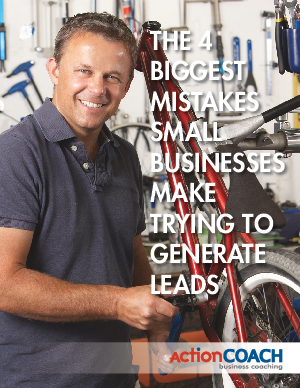 Unfortunately, many businesses make mistakes when deciding how to go about generating leads and once the mistakes begin, they can snowball, leading to bigger problems. In fact, the inability to generate leads is one of the reasons so many businesses fail before they hit their stride. With each and every customer incredibly valuable, it has never been more important for small businesses to use the correct methods to generate leads, but many make the same mistakes time and time again. So what are some of the big mistkes that small businesses make when attempting to generate leads? Download this paper for a closer look at some common mistakes and how you can avoid them.